There are many reasons why that took-you-all-night-to-write-and-now-you’re-late-for-practice email you crafted to spread the word about how incredibly awesome your new album is got deleted – or even worse, triggered and flagged as spam. Perhaps the reason lies in the lack of power and punch of your subject line. Or, maybe it was your last-second word choice that damned your announcement to languish forever in the spam folder. If you used one of the 10 words in the list we're about to share, the latter may be true. Much like crafting that perfect pick-up line for the out-of-your-league guy or gal at a bar, the subject lines of your emails and press releases can be a major point of stress. Going over the coolest things you could possibly say without coming off like a complete moron mirrors the dreaded process of rereading and retyping subject lines for length, tone, spelling, and overall catchiness. Will it be deleted or even make it into the inbox without triggering spam filters? 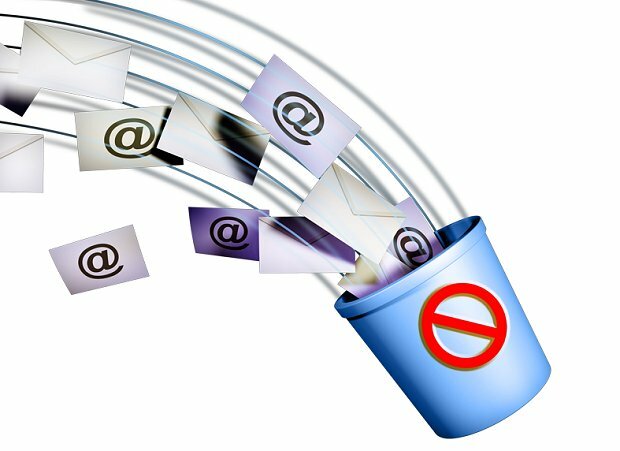 Email intelligence experts at towerdata.com have identified the most common words and phrases that mail filters such as Spam Assassin, Postini, IronPort, Barracuda, and Outlook mark as spam, due these words' association with "junk mail" (and no one wants that clogging up his or her inbox). Many of these no-no words are used in music writing and can significantly increase the chances of your email being sucked into the black hole of rejection known as the spam folder. By avoiding these 10 words in your email subject lines (view an extensive list here), you'll dramatically increase your chance of besting spam filters and actually get your message opened and read. Bonus tip: Also avoid using percentages of any kind (100%, 50%, etc.) in subject lines. A killer subject line is hard to come by without a little creativity. Instead of saying "available now," try "out today" or "new release." Instead of "sign up," use "invitation" or "let's connect." Stumped for synonyms? Use thesaurus.com for similar words and ways to get your point across. When choosing your words, always remember that first impressions make lasting impressions. So the next time you get ready to crank out that email, triple-check this list to make sure your subject lines stay spam-free. Ebony Jeanette is a Los Angeles-based publicist specializing in the creation of completely customizable print and digital publicity campaigns to gain maximum exposure for independent and major label clients. When Ebony isn’t headbanging at metal shows, she's writing her forthcoming e-book series offering even more tips, tools, and tricks for executing successful independent publicity campaigns. Follow her on Twitter at @ebonyjeanettepr.